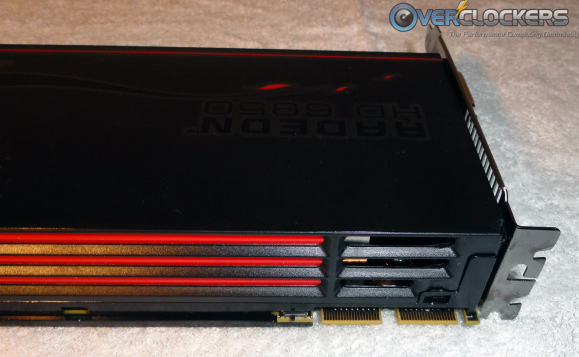 The AMD HD 6950 is the second best single-GPU card in the AMD graphics card lineup. It is possible to flash the card to use the 6970 BIOS, so the HD 6950 looks like it may be able to pack a punch and seriously rival its competitors. The CrossFire scaling issue is a big one. Apparently, the 6970 should scale at 80%-100% – that is, two 6970 cards should achieve 1.8x – 2x of the performance of a single card. This compares favourably with the 60%-80% seen with the HD 5870 (two cards perform 1.6x to 1.8x as fast as one). This topic, specific to the 6950, will be explored in a future article where we will put the theory and the marketing to the test. Yes, we have two 6950’s! With an MSRP of $299, the HD 6950 fills a hole in the marketplace. From a price perspective, NVIDIA does not have any products that compete directly with the HD 6950. The GTX 470 is $55 less and the GTX 570 $50 more than the HD 6950. This huge $100 gap in pricing leaves the door open for AMD to exploit the mainstream gamer market. Even with strong relative price positioning, the HD 6950 still needs to perform well to be an attractive package for gamers and overclockers. 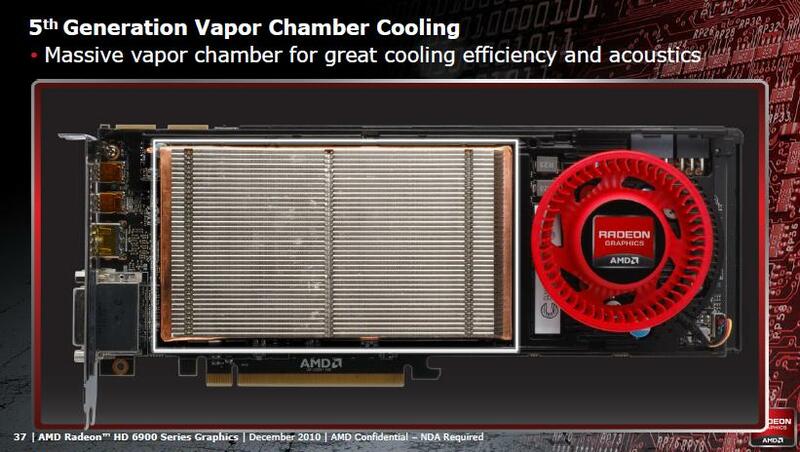 This handy slide from AMD illustrates the above point. However, it is always prudent to do a bit of your own research and take manufacturer data with a grain of salt. 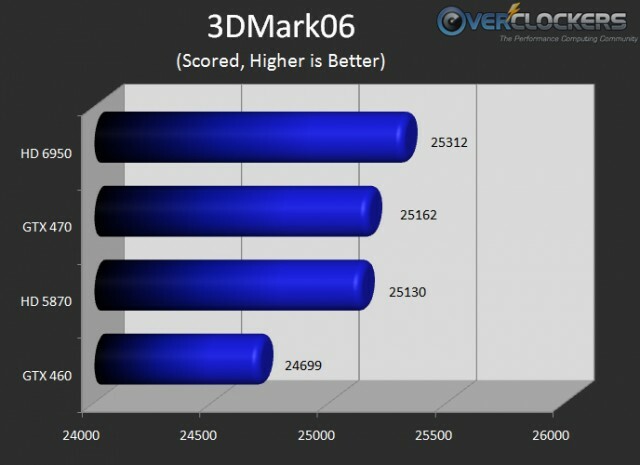 Based on the price and AMD’s data, the HD 6950 ought to outperform the GTX 460 significantly. The GTX 470 comes in at $249.99 at time of writing yet is conspicuously missing from AMD’s slide. The GTX470 should be a closer competitor, but still fall short of the 6950 if the marketing speaks truth. If the results reflect these inferences, we have a solid card on our hands. All benchmarks were run three times using the “performance” preset and the average result is displayed. 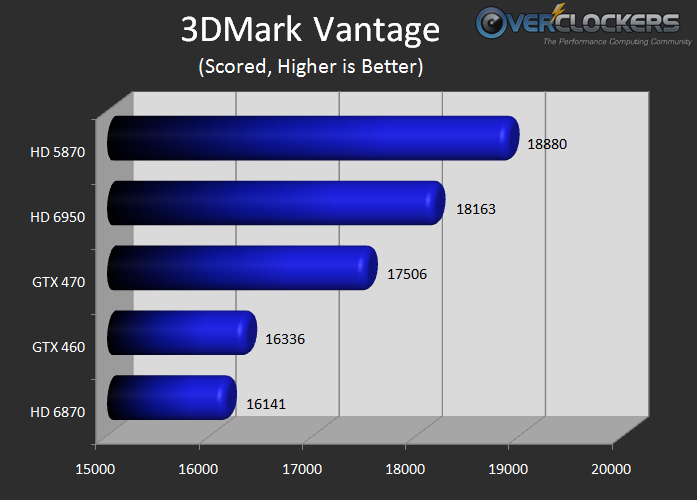 The 3DMark scores presented are run using the Performance (‘P’) preset. Important Note: None of the graph abscissa ranges begin at zero. This was necessary to be able to display the differences in the scores, which are typically very high numbers all round. The actual scores are printed on each graph. Due to the PowerTune technology the card will automatically adjust the voltages based on the GPU load, which was immediately disabled by bumping the voltage control to “+20%” in Catalyst Control Center (CCC). 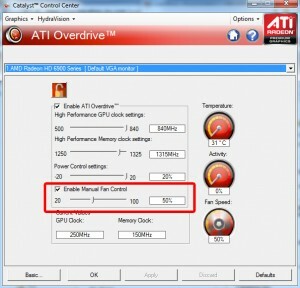 Even though CCC has an ATI OverDrive tab, the overclocking was limited to 840/1315 (about a 5% overclock). 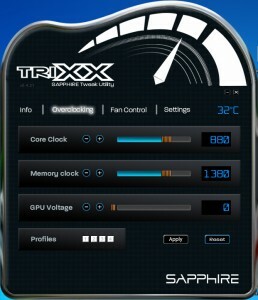 However, using Sapphire TRIXX this card was overclocked to 880/1380 without any issues whatsoever. This is a 10% overclock, however, bumping up either the memory or core any further let to immediate instability when running 3D benchmarks or games. Though TRIXX does provide a setting for voltage adjustment, it was locked. Achieving a 10% gain in both the memory speed and core speed is not too shabby considering that it was done with locked voltage. With a custom BIOS or volt-mod this card should have some extra potential, especially as the card temperatures never held me back. The cooling system is the same vapor-chamber design as the 6970, and proved up to the task of cooling this card. On the AUTO setting the fan was nearly silent, but luckily CCC allows for manual control of the fan. All of the tests were run with the fan at 50% which was fairly loud, but it certainly wasn’t annoyingly so. Turning the fant up to 100% requires some loud music or headphones to mitigate the noise. Most users will never need the 100% fan setting, but I am eager to turn the cooling system up to full blast once the card is capable of getting fed more voltage. With the overclock maxed out, the HD 6950 achieved approximately 6% performance increase over the stock clocks. Similar to the Vantage results, the card was able to perform 7% better at its maximum overclock. 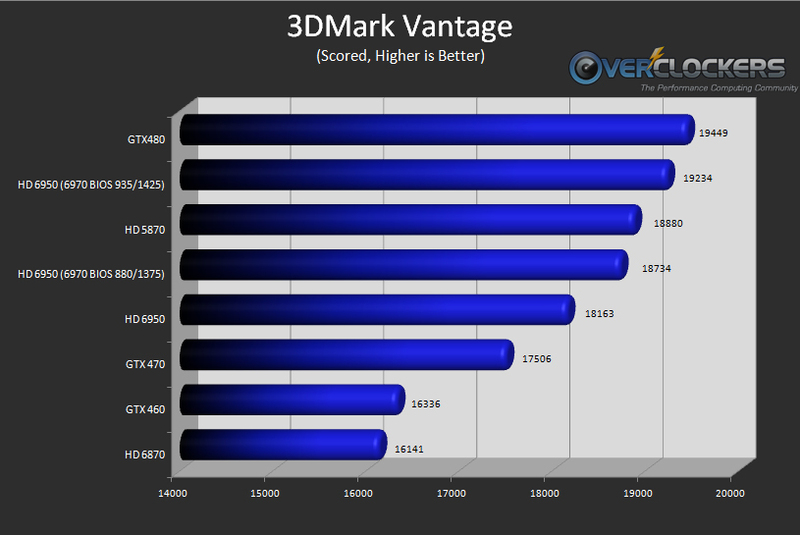 The performance scales pretty linearly with core and memory speeds, especially for the more demanding 3DMark11. Without a slew of video cards to compare in the same machine, we came up with a different solution for comparing relative performance. This solution is not without its flaws, but it should give a relatively clear picture. My system score (or CPU/Physics score) trended on the low side, so this analysis will include my average system/CPU score from both 3DMark Vantage and 3DMark06. Using a static system score, I was able to sub in the varying GPU scores into the score calculation equations provided by Futuremark. These are the Top 5 scores that meet the above parameters, not just typical user scores. Many of these scores were achieved by some of the top overclockers on HWBot. On average my CPU score was significantly less than the HWBot scores. Though I removed the CPU scores from the results, the overall system still does impact final scoring. Scores on HWBot may or may not have had the advantage of custom BIOS or increased voltages, while the HD 6950 voltage is locked. Note: All scores for the HD 6950 below were run at the maximum overclock I achieved, 880/1380. Though the HD 6950 only outperforms the GTX 460 by 2.5% and the GTX 470 by a slimmer margin, the results are still pretty good. 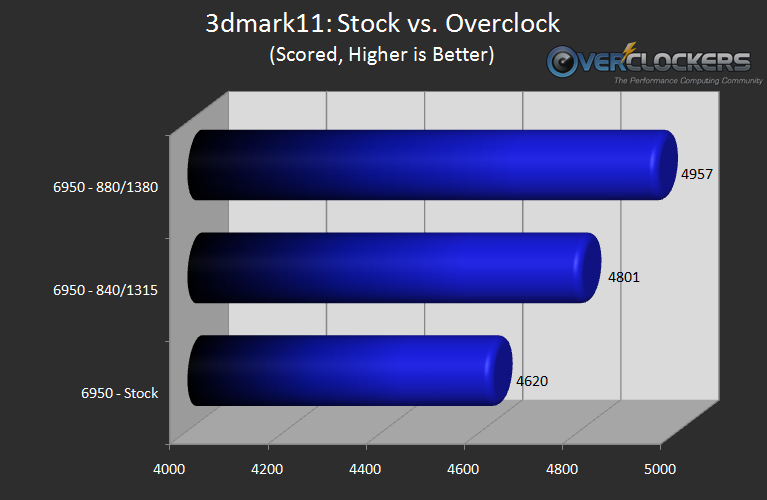 As predicted, the HD 6950 outperforms both the GTX 460 and 470. Though the HD 6950 only shows a 4% performance increase over the GTX 470, this still is a victory in my opinion. Considering the type of competition on HWBot, even a small increase means the HD 6950 is capable of going even further with more voltage, new drivers and a more experienced benchmarker. Also, it is important to note that the HD 6950 has a solid 11% performance gain over the GTX 460. Unfortunately, there were not enough submissions on hwbot.org to support my above guidelines for the GTX 570. However, by eliminating the CPU guidelines, I managed to do a piecemeal comparison of the HD 6950 and GTX 570. I averaged out thirteen results based on my guidelines (except restricting it to i5 CPUs) and got a Vantage score of 20922, a 2759 difference from the top HD 6950 score. This accounts for a 15% performance dip between the HD 6950 and GTX 570, but considering the 17% difference in price, this is a pretty reasonable disparity. 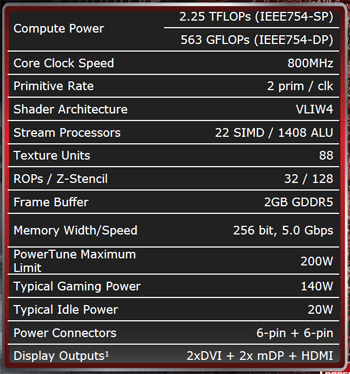 The GTX 570 is intended to be a direct competitor to the HD 6970, rather than the HD 6950. After seeing what the card could do at stock, it was time to take the HD 6950 to the next level by flashing it to the 6970 BIOS. For more information on how to do this, see techPowerUp.com’s excellent article. Using their simple tutorial, this $299.99 piece of hardware became equivalent to a $369.99 GPU in less than five minutes. 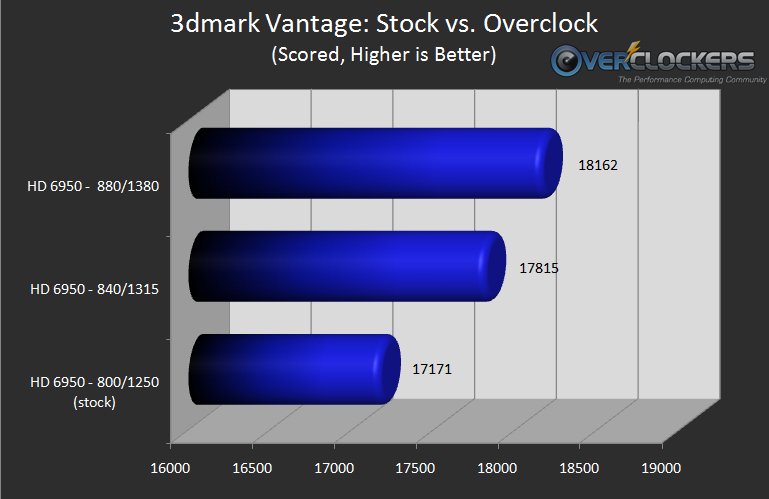 Unlocking the extra shaders and setting 6970 stock speeds allowed for a solid 9% performance boost from stock HD 6950 Vantage scores. 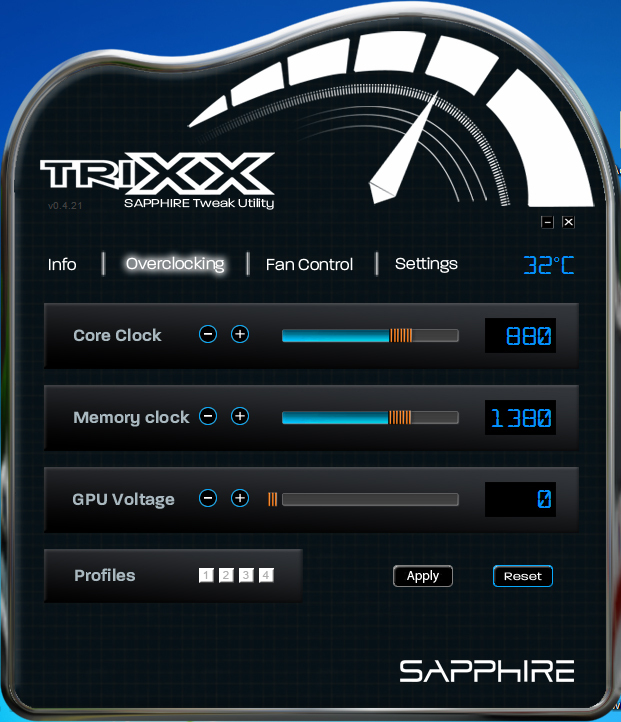 The BIOS also yields more overclocking headroom, presumably because of additional stock voltage. I was slightly disappointed that my particular card maxed out at 935/1425, but considering this was a 6950 and not an actual 6970, I had no complaints. The graph below compares my maximum achieved HD 6950 overclock (880/1375) to the card with 6970 BIOS at stock 6970 speeds and my max overclock. The card approaches, but doesn’t reach, the performance of a GTX480. I’d argue that the price/$ is better, however. Value wise it is difficult to match the 6950, considering for $300 you are essentially getting a $370 card. From the chart above, it is clear that the 6950 provides superior performance per dollar when compared with the GTX 480, about 30% better value to be exact. Ultimately, this card has a ton of potential: the possibility of major overclocking with the new high-tech cooling system (assuming voltage modifications or unlocking is possible), the potential to outperform competitors in the same or even a higher pricing bracket and of course the possibility to be a BOINT machine. At just $300, this card packs a major punch considering it can be unlocked to a 6970 with ease. When battling head to head, this card outperforms the GTX 470 with similar overclocks, exactly what AMD described in the press deck. Overall this card definitely lives up to expectations and should be high on any overclocker’s wish list. It will be interesting what this card is capable of in a CrossFire configuration. This new line from AMD is said to scale near 90%, and I can’t wait to see the results. Stay tuned for my follow up article. Looks like the 6950 is better value than the 6970 then? Very nice review!!! No game comparisons though? Hoping to be able to include those in the next one, EarthDog. I haven't had time to mess with those yet unfortunately. I'm going to get this one when Newegg gets some more, unless someone knows where one is for sale somewhere else or has one. Man, I'm gonna spend way to much just to use the mobo I got at the party. Chance set me up with good choices for ram and a 1090, that's on order.. However you didn't touch on the power control option. This card will not let you go over the TDP so your overclocking results may be lower than what they could have been if you allowed for +20% TDP. This is a setting in the CAT driver in overdrive. Basically I am concerned about this as I am getting conflicting information if the 6950 -> 6970 mod also increases the TDP wall of 200 to 250watts like on the 6970. And yes the mod is supper simple, just picked up my 6950 last night and the mod take a few min max. I'm glad to see an independent review of the 6950 on here. Very well written and informative. After flashing my Gigabyte 6950 to the 6970 bios, I would run stress tests / games and my display would go into "sleep" mode and the video card fan would fire up to 100%. Worrying about warranty, I flashed back to the 6950 (the system would stay on long enough to accomplish this) and eventually I worked up the nerve to try the "modified" 6950 bios with shaders unlocked. This bios worked beautifully and I haven't had any problems since (1+ weeks now). Thought this might be informative to anyone having the black screen / fan going nuts issue. I would definitely recommend skipping the full 6970 flash and go with the modified 6950 bios. Well informed by another member here "Rattle" which brought up a very good point. If flashing the 6950 to the 6970, best way to do it is unlock the shaders on the card and go from there. 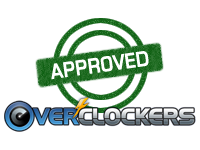 Use MSI Afterburner, unlock the overclock feature in the main config file, make sure that the CCC overdrive is turned off (in my case I re-locked it) and go to it. Using the 6970 bios gives the ram more volts 1.6 vs 1.5. In my experience it didn't yield any better results. Overall so far 900/1100 with stock 1.1V for my 6950... not bad in my book. Defiantly best value around for high end performance for cheap.... ish price. For those of you who don't know, you can unclock a 6950 to a 6970. 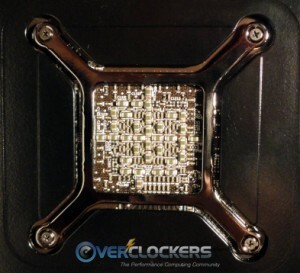 Threads about it on Overclock.net, TomsHardware, etc.